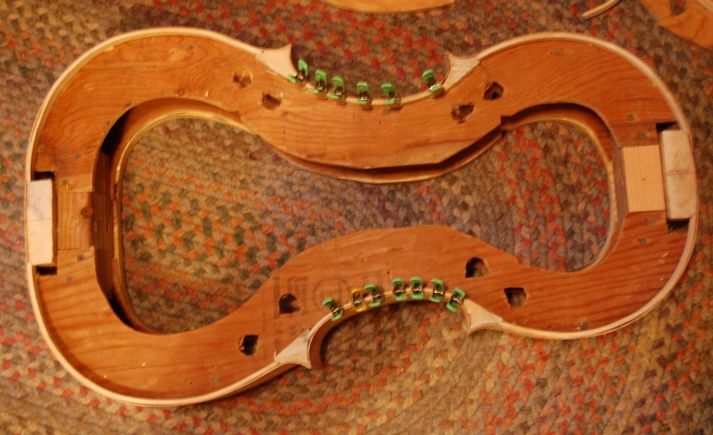 Willow cello linings installed, glued and clamped. Cello mold with front spacer removed and linings ready to install. Cello linings (willow) installed dry, ready for gluing. You can see the importance of the linings, by comparing the two photos above: without the linings, the ribs are only about 1.5mm thick…not very strong, nor is there sufficient gluing surface on that thin edge. So, with the linings in place the edge is about 5.5mm thick, which significantly strengthens the edge, and more than triples the gluing surface. 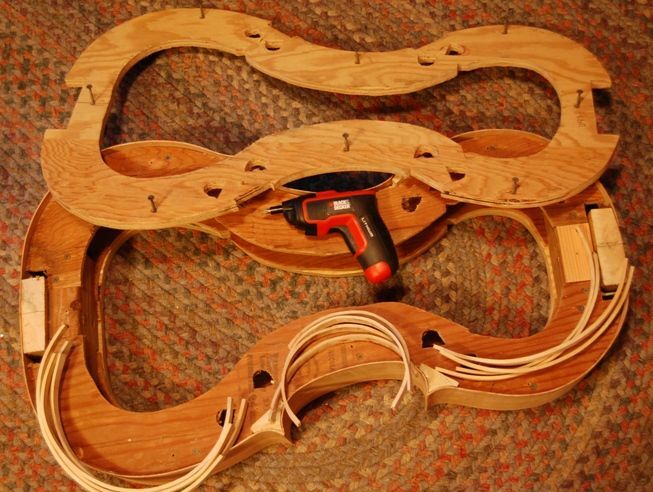 Hot Hide Glue and lots of clamps! 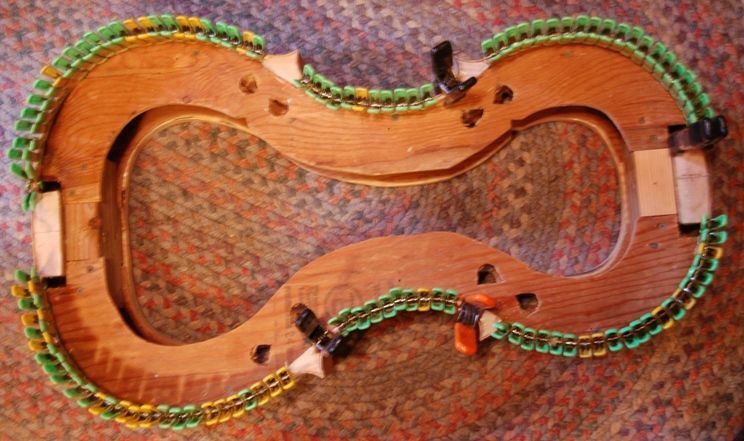 Cello linings glued and clamped. Once these linings dry, I will remove the clamps and repeat the process on the back side. the back has a slight taper, from tail to neck. At the bottom block, the ribs are about 113mm tall. At the neck they are about 108mm tall. So I will want to plane the ribs to those approximate dimensions before I install the linings. One thing you can’t see in the photos is the fact that I fit the linings just a little high…slightly “proud” above the rib edge. I want to make sure that whatever planing needs to be done is primarily removing willow, not curly maple. I will accomplish final leveling with a sanding board, however, just before tracing the shape of the plates, from the shape of the completed rib garland.